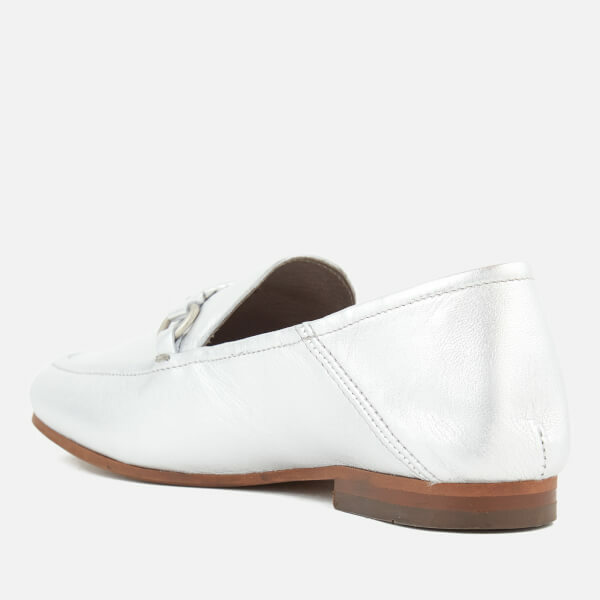 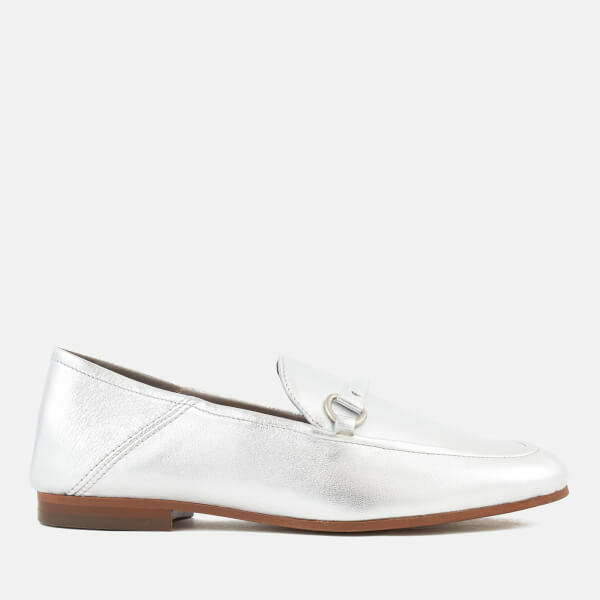 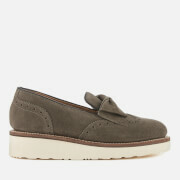 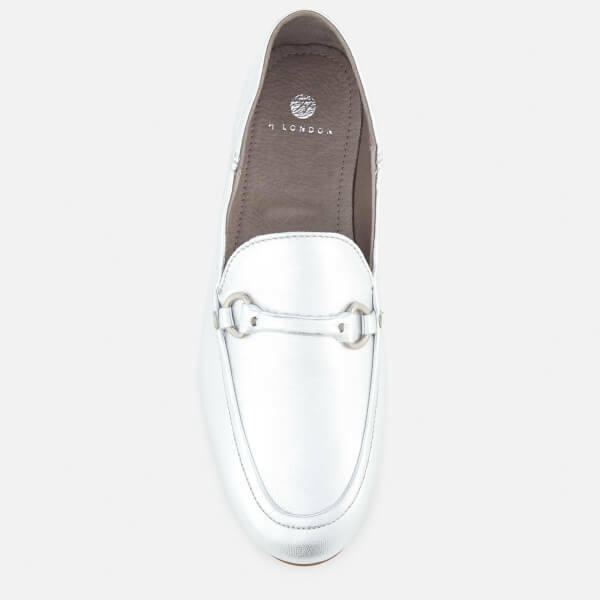 Women's leather loafers from Hudson London. 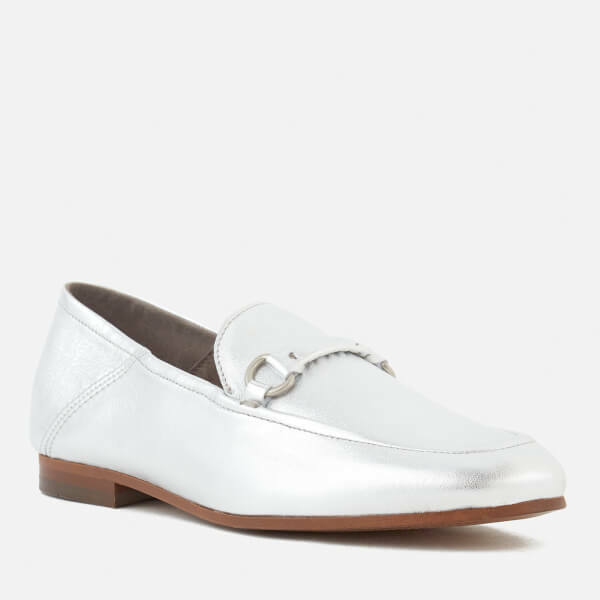 Showcasing metallic leather uppers, the 'Arianna' shoes have been designed with a rounded toe and tonal saddle across the vamp with silver-tone hardware detail. 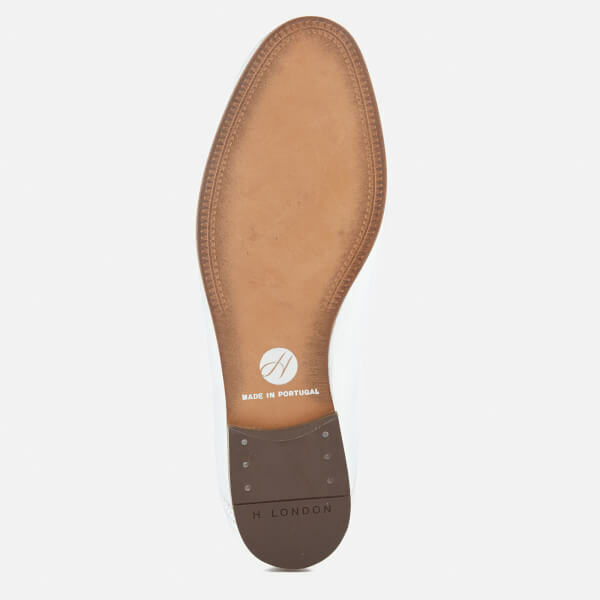 Lined in leather and set upon a durable rubber sole with low, stacked heel.